Lignum Ruritan Club will be celebrating Ruritan Awareness month from 5pm – 8pm, May 23, 2016 at the Chick-Fil-A in Culpeper, VA. 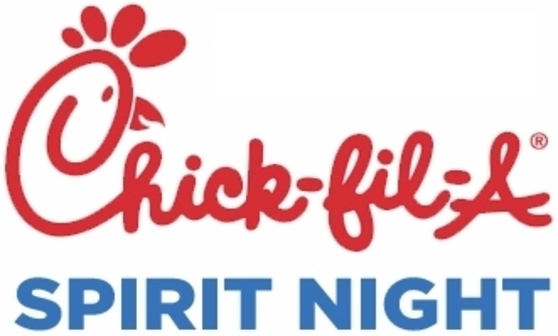 The Club is holding a “Spirit Night.” Chick-Fil-A will donate a proceeds of sales from any customer that tells their cashier that they are supporting the “Ruritan Spirit Night” to the Lignum Ruritan Club. Please come out and enjoy a chicken dinner, and fellowship with other Ruritans and their supporters! The Lignum Ruritan Club installed their Club Officers for 2016 on December 10, 2015, during their Annual Christmas Dinner held at their clubhouse in Lignum, VA. The 2015 Rapidan District Lt. Governor, Irene Luck, installed the new officers. The club officers will serve as the leaders of the Lignum Ruritan Club from January 1, 2016 through December 31, 2016. 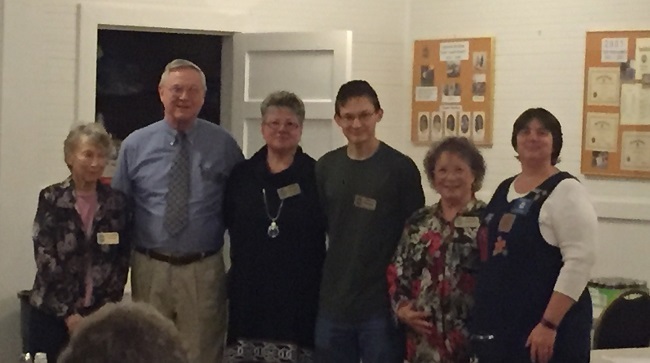 The officers installed were Debroah Gaulden, President, Rozelle Amick, Vice President, Jaycen Creasy, Secretary, Tommy Gaulden, Treasurer, and Sandra Rutherford, First Year Director. 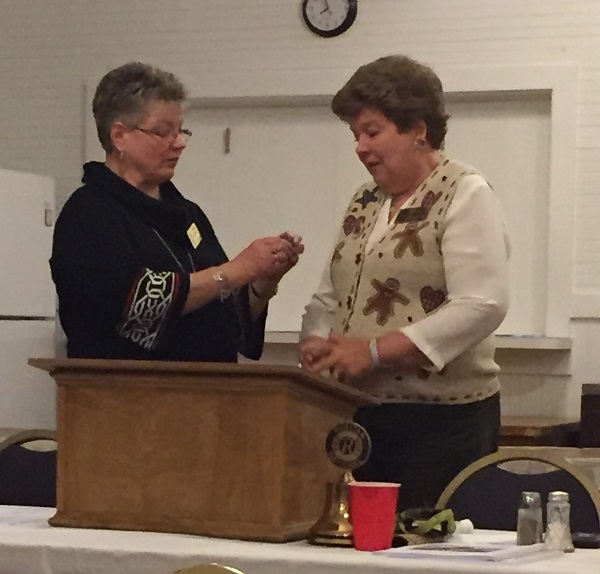 After the installation, Deborah Gaulden presented Pam Harris, the 2015 Lignum Ruritan Club President, with a Past President’s lapel pin. The guest speaker at the meeting was Rev. Stan Mulford, pastor of the Hopewell and Richardsville United Methodist Churches. Rev. Mulford provided the club with an entertaining and informative presentation about the origins of Christmas celebrations. 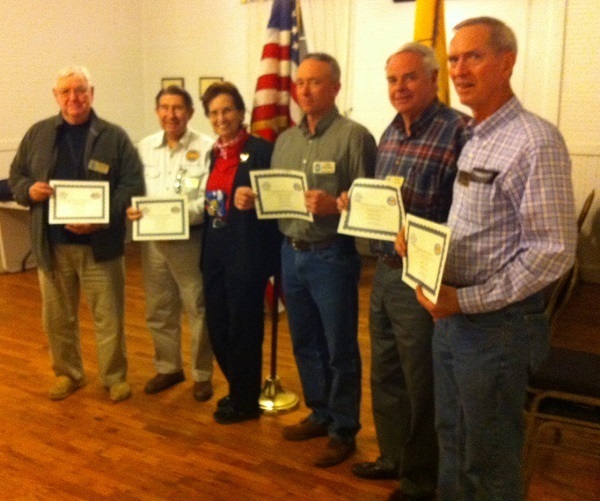 The Rapidan District Ruritan Cabinet honored the military veterans of the Lignum Ruritan Club March 12, 2015 at the Lignum Ruritan’s Clubhouse in Lignum VA, by presenting them with Certificates of Appreciation during a visit by the Rapidan District Governor, Linda Bradshaw. The presentation is part of the Rapidan District’s plans to thank, appreciate, and honor all of their local club’s veterans. Photograph provided by Pam Harris, President of the Lignum Ruritan Club. Pictured are, left-to-right, Charles Farrar, Grover Amick, Linda Bradshaw, Clay Gardiner, Hank Smith, and Edwin Willis. 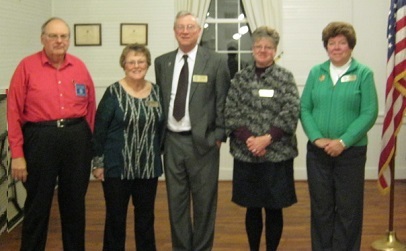 The Lignum Ruritan Club held its 2015 Officer Installation December 11, 2014 at the club headquarters in Lignum VA during their regular December club meeting. Zone Governor Fred Creasy did the honors of installing President Pam Harris, Vice President Debbie Gaulden, Secretary Tommy Gaulden, Treasurer Bob Houck (in absentia,) and the new 3-year director Joyce Willis. 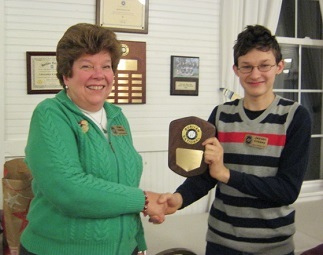 President Pam Harris presented Ruritan of the Year youth member Jaycen Creasy with a wooden plaque celebrating his Ruritan of the Year award. 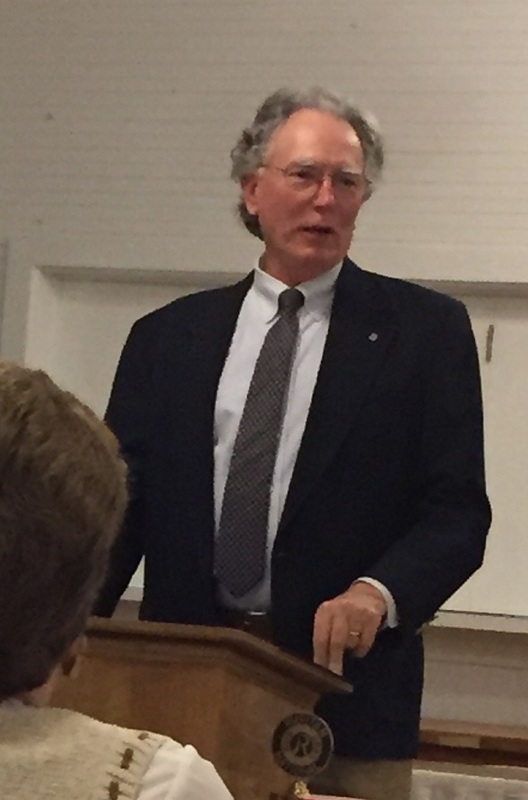 During the regular business meeting that evening, Harris advised the club members that the Lignum Ruritan Club won a Silver Award for Social Development that was presented during the Rapidan District Convention, and passed the award around for the members to see. Congrats to the new club officers, and to Jaycen for his Ruritan of the Year award!